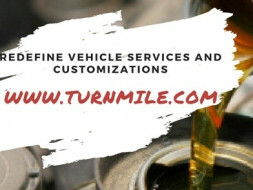 www.turnmile.com is a online platform and one point solution to provide all kind of Custom vehicle modifications, vehicle maintenance and repair, breakdown services, automobile products and to resolve all vehicle related troubles instantly by pick up/drop off of vehicle, provide services at your doorstep as well as at our network workshops. 1. The only solution dedicated to vehicle custom modifications with servicing, repairs,cleaning & detailing, breakdown assistance in the country. 2.Transparency in Services and its cost. 3. Use of Quality parts. 4. Quality services based on set standards. 5. Provide you best technician as per our experience in customer`s vehicle and its related services. 6. Variety of high quality custom modifications for your vehicle as per your requirements. 7. Nearest Service stations as well as Vehicle Pickup/ drop and doorstep services facilities for your convenience. 8. Warranty on general services. We at Turnmile Understand the value of time in the present age of today and unorganized automobile service sector having no transparency of services , large cost waviness. No reliability commitment , less availability of skilled labor or no availability of mechanics in emergency with in competitive cost. Last but not least, less variety of custom vehicle modifications for your vehicle due to limited options and have large price fluctuations due to no standard for pricing. Turnmile.com is an initiative of four Mechanical Engineers come together to make a different platform for this segment by fulfilling their passion and serve society. We are currently associated though our partner workshops in Tricity to serve you with the Quality services through our custom packages , through quotations as per customer requirements with best quality parts and consumables and aim to be the leader of this segment in all over India. We here at Turnmile Automotive Technologies believe to be simple and innovative in our field. We know the importance of your time and hence available for you instantly at your offices and homes to serve. Search best workshop/service provider when our vehicle is in breakdown, need Periodic servicing, repairs, variety of custom quality modifications, good quality cleaning & detailing and good quality products is not easy in these days. Authorized service centers have very high price list because of their high infrastructure and overhead expenses. In other case non- authorized centers have very high rate fluctuations due to which everybody get confused that which one will provide the best services in terms of quality and price. 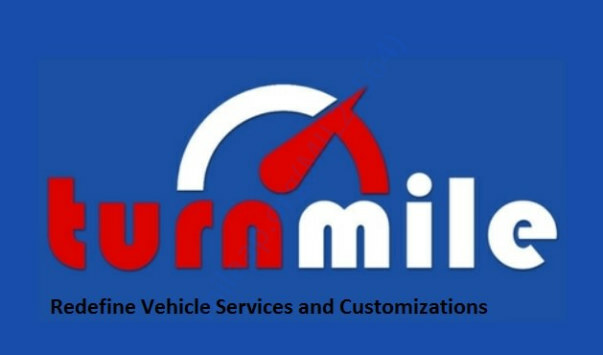 www.turnmile.com aim to be the leader of this segment with Quality parts and consumables (as mentioned by manufacturers) for all kind of services and with least labor cost because we don't have huge infrastructure like Authorized service center so overhead expense is reduced to minimum. We are using high quality parts, kits, fluids and other consumables in all our services and entertain you with best market prices. Sometimes you can find out lot of mechanics/workshops offers you lesser prices also but we ensure you that you definitely have to compromise with your service quality level there. Currently we are serving in Custom vehicle modifications (partial and full vehicle modifications), periodic services, repairs, roadside assistance, Vehicle cleaning and detailing, automobile accessories and spare sales and insurance renewal domains at Chandigarh, Mohali, Panchkula and Zirakpur and will soon be available in multiple domains and locations. 1. Website developments to be more friendly with users and technological. 2. Marketing of our brand/website/services. 3. Expansion of Turnmile to other cities. So , we want to use this amount for our growth and expansion activities to be the leader in the market.